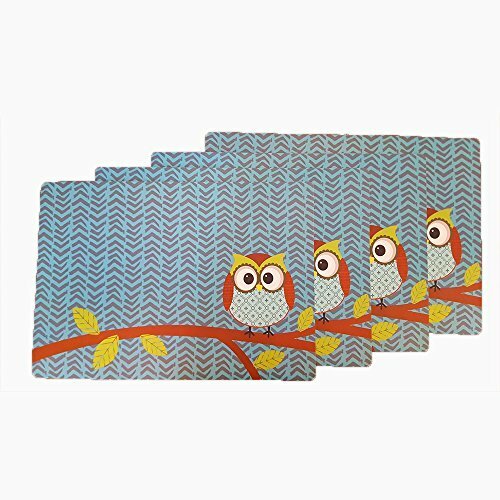 Set of 4 cute owl place mats; plastic (100% polypropylene); washes easily. Great for kids and owl/animal lovers. EASY TO CLEAN, DURABLE AND REUSABLE: Wipe clean with a damp cloth.